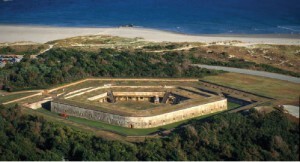 Fort Macon offers public access to the surf, sun, and sand of the Crystal Coast – as well as a Civil War fort with a history as intricate and unique as the waterways of the sound. Watch river otters play. Touch a stingray. Look a shark in the eye. Explore a shipwreck. 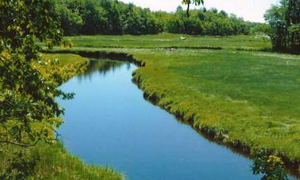 Thousands of aquatic animals take you on a journey from the state’s grand peaks to the open Atlantic. North Carolina’s third oldest town, Beaufort lies on the coast bordering the southern tip of the Outer Banks. The Beaufort Historic Site depicts 18th and 19th century coastal Carolina. 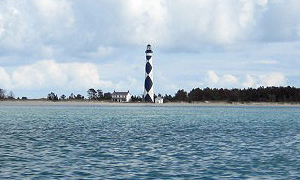 A boat ride three miles off-shore brings you to the barrier islands of Cape Lookout National Seashore. 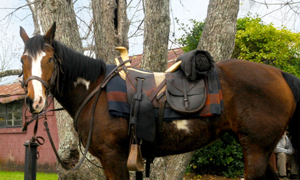 Horse watching, shelling, fishing, birding, camping, lighthouse climbing, and touring historic villages. 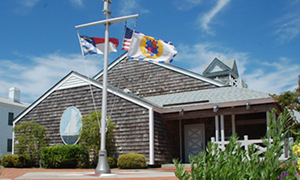 Visit the Maritime Museum in Beaufort for a taste of coastal cultures and maritime history. 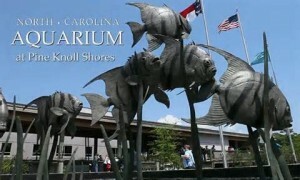 Exhibits feature the state’s rich seafood industry, life-saving stations and lighthouses, and sailboats and motorboats. 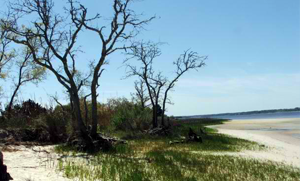 The Rachel Carson Reserve is open to the public for fishing, boating, sailing and kayaking. 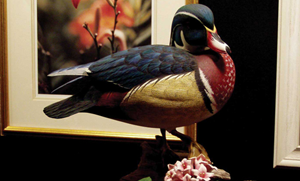 The museum features exhibitions, duck decoys, photographs, heirlooms, and other community artifacts that tell the story of this unique area. 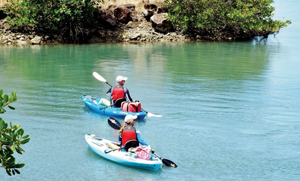 A kayak lauch is located at the Hoop Pole Creek Nature Trail, located off Highway 58 in Atlantic Beach next to the Atlantic Station Shopping Center.